This box set includes three award-winning Harry Bosch thrillers, all voiced by standout Broadway veteran Len Cariou. The Narrows FBI agent Rachel Walling finally gets the call she’s dreaded for years, the one that tells her the Poet has surfaced. She has never forgotten the serial killer who wove lines of poetry in his hideous crimes, and apparently he has not forgotten her. 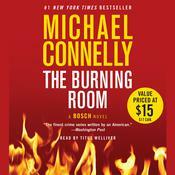 Former LAPD detective Harry Bosch gets a call, too, from the widow of an old friend. Her husband’s death seems natural, but his ties to the hunt for the Poet make Bosch dig deep. Arriving at a derelict spot in the California desert where the feds are unearthing bodies, Bosch joins forces with Rachel. Now the two are at odds with the FBI, and squarely in the path of the Poet, who will lead them on a wicked ride out of the heat, through the narrows of evil, and into a darkness all his own. Echo Park In 1995, Marie Gesto disappeared after walking out of a supermarket in Hollywood. Harry Bosch worked the case but couldn’t crack it, and the twenty-two year old woman never turned up, dead or alive. Now Bosch is in the Open-Unsolved Unit, where he still keeps the Gesto file on his desk, when he gets a call from the DA. Michael Connelly’s suspenseful new novel pits the detective People magazine calls “one of the most complex crime fighters around” against one of the most sadistic killers he has ever confronted. 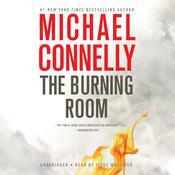 It confirms that Michael Connelly “is the best writer of suspense fiction working today” (Richmond Times-Dispatch). 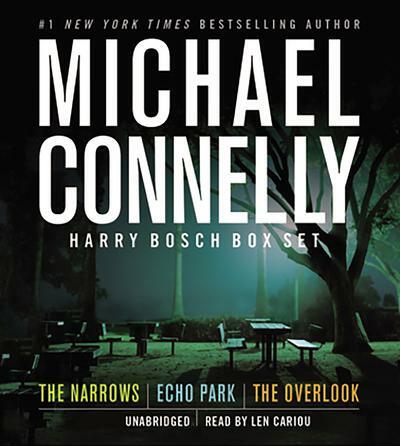 The Overlook In his first case since he left the LAPD’s Open-Unsolved Unit for the prestigious Homicide Special squad, Harry Bosch is called out to investigate a murder that may have chilling consequences for national security. A doctor with access to a dangerous radioactive substance is found murdered in the trunk of his car. Retracing his steps, Harry learns that a large quantity of radioactive cesium was stolen shortly before the doctor’s death. With the cesium in unknown hands, Harry fears the murder could be part of a terrorist plot to poison a major American city. 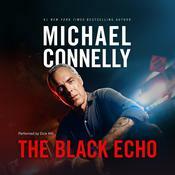 This box set includes three award-winning Harry Bosch thrillers, all voiced by standout Broadway veteran Len Cariou. FBI agent Rachel Walling finally gets the call she’s dreaded for years, the one that tells her the Poet has surfaced. She has never forgotten the serial killer who wove lines of poetry in his hideous crimes, and apparently he has not forgotten her. Former LAPD detective Harry Bosch gets a call, too, from the widow of an old friend. Her husband’s death seems natural, but his ties to the hunt for the Poet make Bosch dig deep. Arriving at a derelict spot in the California desert where the feds are unearthing bodies, Bosch joins forces with Rachel. Now the two are at odds with the FBI, and squarely in the path of the Poet, who will lead them on a wicked ride out of the heat, through the narrows of evil, and into a darkness all his own. In 1995, Marie Gesto disappeared after walking out of a supermarket in Hollywood. Harry Bosch worked the case but couldn’t crack it, and the twenty-two year old woman never turned up, dead or alive. Now Bosch is in the Open-Unsolved Unit, where he still keeps the Gesto file on his desk, when he gets a call from the DA. Michael Connelly’s suspenseful new novel pits the detective People magazine calls “one of the most complex crime fighters around” against one of the most sadistic killers he has ever confronted. It confirms that Michael Connelly “is the best writer of suspense fiction working today” (Richmond Times-Dispatch). In his first case since he left the LAPD’s Open-Unsolved Unit for the prestigious Homicide Special squad, Harry Bosch is called out to investigate a murder that may have chilling consequences for national security. A doctor with access to a dangerous radioactive substance is found murdered in the trunk of his car. Retracing his steps, Harry learns that a large quantity of radioactive cesium was stolen shortly before the doctor’s death. With the cesium in unknown hands, Harry fears the murder could be part of a terrorist plot to poison a major American city. 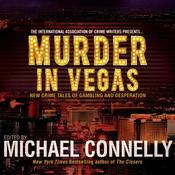 Michael Connelly, author of suspense thriller and detective mysteries, has written several #1 New York Times bestsellers and numerous titles that made the New York Times and USA Today bestseller lists. He has won most every award given in the mystery and thriller genres, including the Anthony Award for Best Novel and the Barry Award for Best Novel. He is a former newspaper reporter who also won numerous awards for his journalism.